Trius Retail’s patent-pending Shelf Alive!™Electronic Shelf Strips represent a major breakthrough in at-the-shelf retail communication. These shelf strips work in tandem with the Shopper Engagement Screens positioned throughout the store to deliver pricing, promotion and information to the shopper as they make their purchase decisions at the shelf. 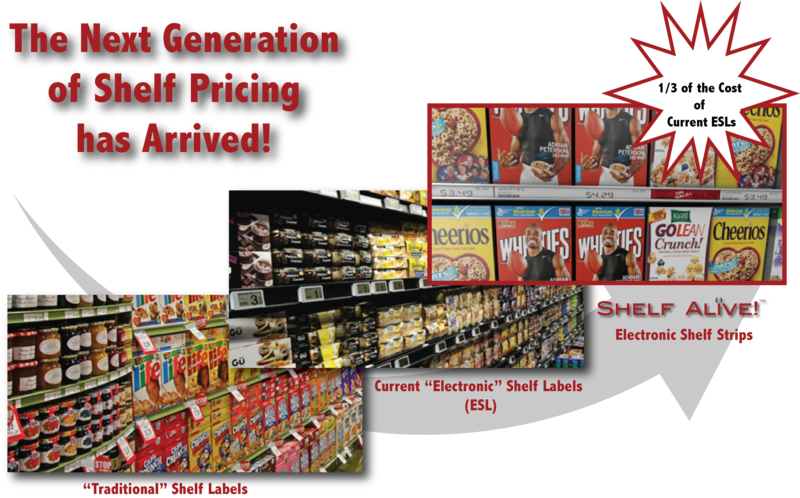 Unlike existing electronic shelf labels found in some retailers in the U.S. and globally, Electronic Shelf Strips use their efficiency to dramatically drive down the cost of installation and maintenance, producing a very quick ROI for the retailer and a true “Amazon.com-like” shopping experience. 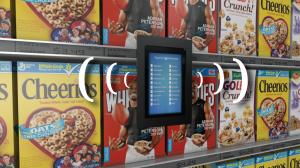 Shopper Engagement Screens are placed strategically throughout the store, providing the shopper opportunity to interact with the screens and quickly locate products within that section of the store. The Shopper Engagement Screens also carry messages from the retailer or brand partner highlighting promotions, nutritional information, or new product announcements. They are fully connected to the Electronic Shelf Strips and therefore work in concert to identify key attributes, promotions and product information of those companion items adjacent to the screen.